The Gold Coast’s $1 billion light rail route has spurred several new high-rise apartment projects, poised to capitalise on their proximity to the now operational public transport system. 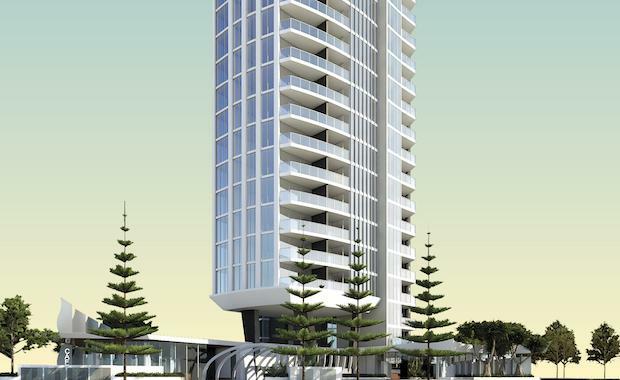 The projects set to benefit include the planned Synergy tower at Broadbeach, Rhapsody now underway at Surfers Paradise, Harry Triguboff’s 55-level Sundale at Southport and the completed over 50s Victoria Towers, also at Southport. Local Project Marketer Deborah Provost said apartments along the 13km route from Parkwood’s medical and education precinct to Broadbeach’s retail hub would become sought after real estate. Ms Provost, who is marketing Rhapsody, said the convenience factor would be a significant value-add for residents and provide extra incentive for investors. “These projects have been well-timed to capitalise on the heightened buyer and tenant demand for nearby apartments that will follow the start of light rail services,” she said. Ms Provost said the light rail was part of the evolution of the Gold Coast into an international city. “For some people it will eliminate the need for a car, which is the case in major cities around the world” she said. Gold Coast Light Rail connects Gold Coast University Hospital and Griffith University at Parkwood to the Southport CBD, Surfers Paradise’s entertainment and retail hub and south to the Gold Coast Convention and Exhibition Centre, Jupiters Casino and Pacific Fair Shopping Centre at Broadbeach.